Davor is at 126.79$ right now and it has gone up from 100$ to 126$ today. 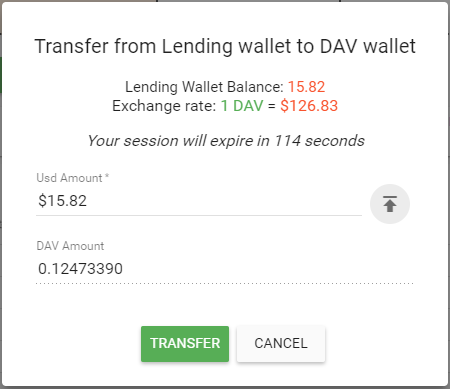 I decide to transfer to DAV and see where it will go. My plan for the future is to take out the money and invest in some alt coins but Im not sure yet about that. OMG! This is SUCH an AMAZING post! Thank you for sharing! I give you a vote !! You got a 76.20% upvote from @mercurybot courtesy of @robi!